In Florida, petit theft is defined as the theft or use of property worth less than $300 with the intent to deprive the property’s rightful owner of the benefits of owning or using the property. As with other theft offenses, petit theft is charged according to the value of the items allegedly stolen. 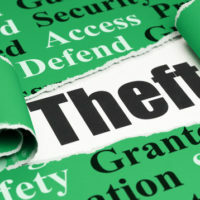 Details about an individual case, such as whether the defendant caused additional property damage to the victim in the transmission of the theft offense and whether he or she has previous theft convictions on his or her record can impact the consequences he or she faces for a conviction. Petit theft can be charged as a first or second degree misdemeanor, depending on the value of the property that was allegedly stolen. If the property was worth between $100 and $299, the defendant is charged with first degree petit theft. If the property was worth less than $100, he or she faces a second degree misdemeanor charge. The court may also suspend an individual’s driver’s license as punishment for a petit theft conviction. When an individual has previous theft conviction on his or her record, he or she can expect a driver’s license suspension. A convicted defendant may also be held liable for the victim’s damages, which means he or she may be required to pay the victim back for the cost of their damages or have to pay for the victim’s lawyer and court fees. One of the keys to a petit theft conviction is proving not just that the defendant committed the act, but that he or she intended to commit the act of theft. If the court cannot do this, it cannot convict the defendant. An individual’s defense strategy might involve showing that he or she did not intend to take the victim’s property. This could be because he or she was intoxicated against his or her own will or because he or she reasonably believed he or she had the right to the stolen property. If you have been charged with petit theft or any other theft offense, start working with an experienced criminal defense lawyer now to develop an effective defense strategy for your case. The right defense strategy could mean the difference between you having to pay a large fine and spend time in jail and your charge being lowered or dismissed, allowing you to walk free with a clear name. To get started with the Miami criminal defense lawyers at Ratzan & Faccidomo, LLC, contact our office to schedule your free case evaluation.